The campaign is designed to focus on girls, pre-teens and teens of color being beautiful on the inside and outside by demonstrating positive self-love, self-respect, self-esteem and self-pride (the foundation of beautiful). Beautiful girls are Balanced, Empowered, Achievers, Unique, Tenacious, Inspired, Fascinating, Uplifting, and Loving. 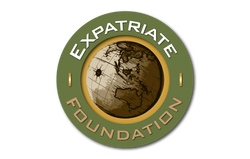 Established in 2008, the Expatriate Foundation is the first of its kind to reach out to expatriates, scholar practitioners, human resource professionals, and internationally minded citizens and organizations who share a common bond; one in which education, learning, and the desire for success meet equally for all.